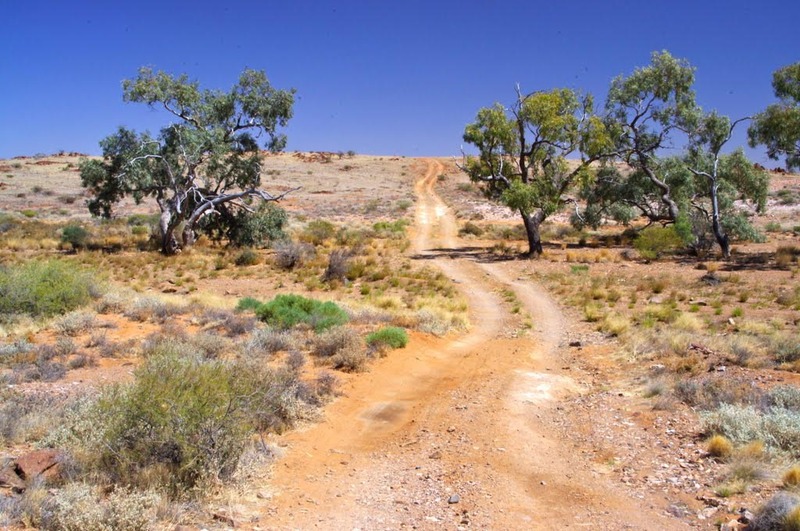 Freeling Springs & the closely associated heritage site known as the Peake Overland Telegraph Station are located on the eastern slopes of the Peake & Denison Range approximately sixty kilometres south east of Oodnadatta. The entire site is of state and national importance for its combination of natural and cultural heritage values. It has strong Indigenous connections and a European cultural heritage legacy which includes early exploration, the Overland Telegraph (OT), pastoralism and mining. The site is located approximately 13 kilometres by road north east of the Oodnadatta Track, with a signposted access track to it (known as a Public Access Route or PAR) leaving the Oodnadatta Track around five kilometres north of the old Warrina Railway Siding. The 4WD (high clearance) PAR is unmaintained and is very rough, with frequent washaways and severe corrugations. All camper trailers and caravans should be left at the start of the track and collected on the return leg. A minimum of several hours should be set aside for the return trip. 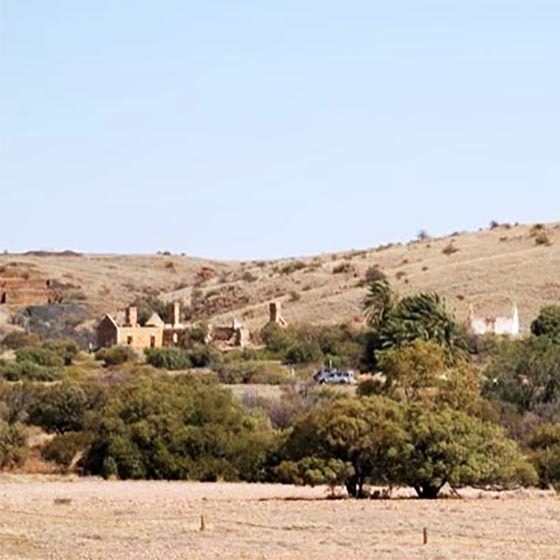 Freeling Springs are located on the Peake Station, land held under pastoral lease tenure and currently run as an outstation of Anna Creek to the south. Public access is permitted, but only via the PAR. The use of any other station tracks requires prior approval of the lessees. There are three easy walks to take you to points of cultural and natural history interest. Follow the markers and cairns. Copper Top Smelter and Mine Walk explores this abandoned industrial site. In 1900 the site saw a renewal of activity through the mining and smelting of copper. At that time there was an increasing demand for copper wire needed for the new technology of telegraph and electricity lines. The Amalgamated Copper Top Proprietary Company operated from 1900-04, but the poor quantity and quality of ore could not sustain the elaborate and expensive smelting works. The walk is marked in black on the walking map. The Creek and Cemetery Walk illustrates the plants along this typical watercourse, with the cemetery as an optional detour. The walk is marked in green on the walking map. The Settlement Walk gives a feeling for what life must have been like in the buildings of the pastoral station and telegraph station. Take care – the ruins are fragile and loose masonry is dangerous. 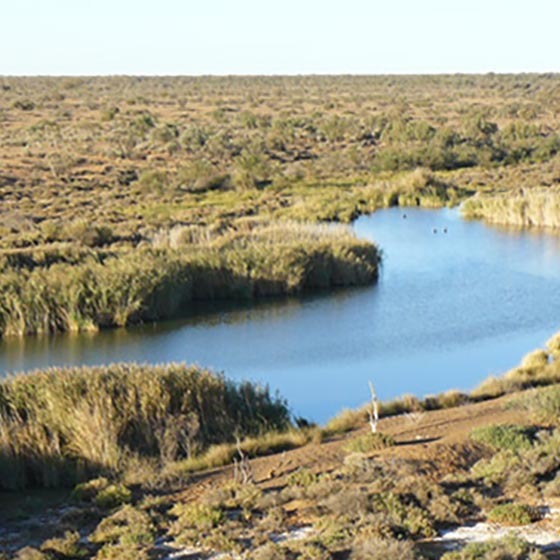 Freeling Springs, like other mound springs of the Great Artesian Basin, represented a source of potable and permanent water in what would otherwise be some of the harshest desert country in Australia. The amount of occupational debris around the springs – stone tools, flakes and portions of grinding stones especially – attests to their importance to Indigenous people such as the Arabana. Along with the nearby Peake Creek, Freeling Springs was a major mythological site and noted linguist Luise Hercus from the Australian National University has recorded important Dreaming stories for the area, including the Two Snakes, the Old Man and the Rain History. 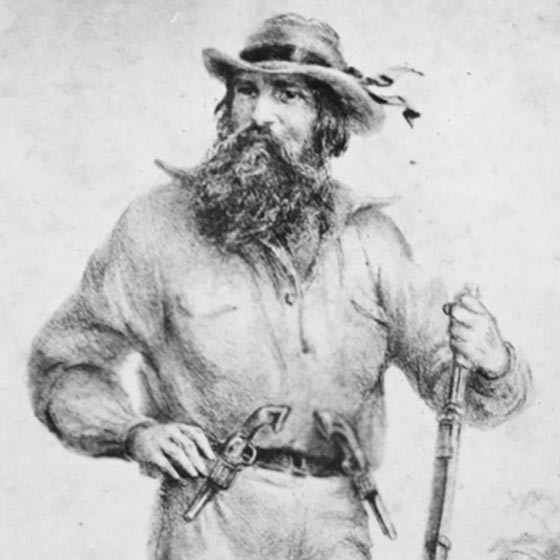 After a number of attempts Stuart did eventually find a way through the Centre of the continent and on to the north coast of Australia, establishing in the process a transport and communication corridor that would become of national importance. 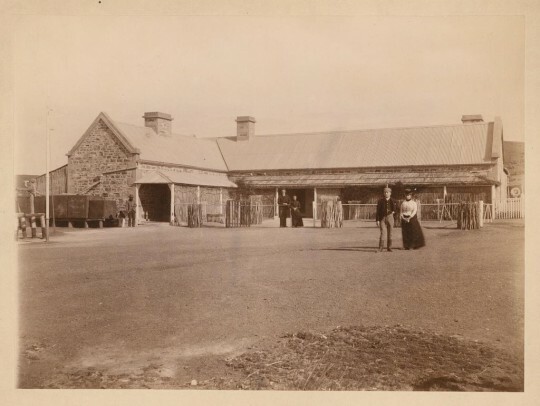 Prior to construction of the Overland Telegraph Repeater Station, the site had been used as a base for pastoral activities in the region and several of the buildings in the complex date from the mid to late 1860s. 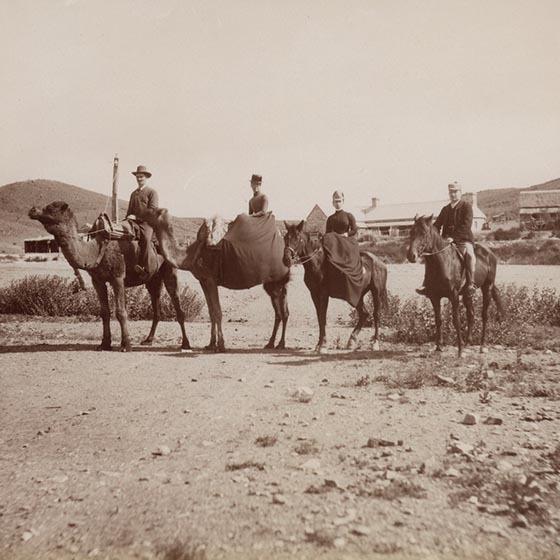 Pastoral activities had initially been located on Umbum Waterhole south east of the Peake, but were removed to Freeling Springs after the drought of 1864-65 had decimated the livestock belonging to Philip Levi, first pastoral lessee in the area. Levi was bankrupted by the drought and his affairs managed for some years by a group of trustees including H Ayers, EM Bagot and E Kempe. Control then passed to S Kidman & E Kempe, with S Kidman assuming sole control when Kempe died in 1908. 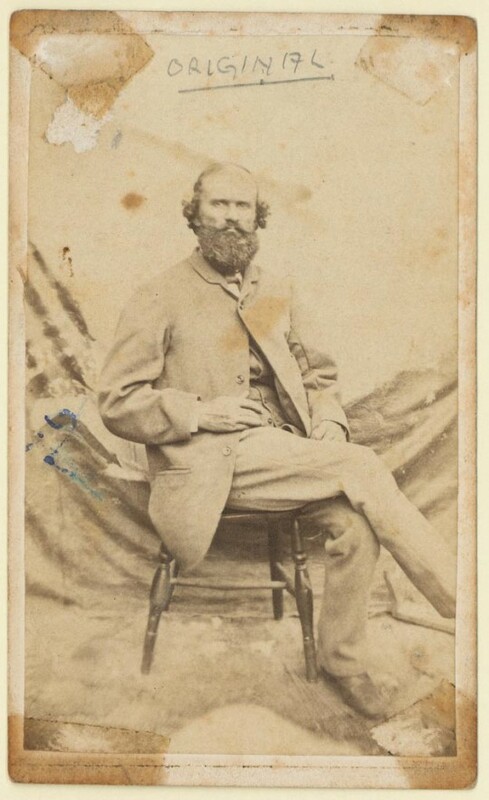 The Kidman Company has held the Peake pastoral lease since that time, although the Peake has mostly operated as an outstation of the much larger Anna Creek to the south. Late in Kempe’s time operations were moved to the Wood Duck locality and later still to the present station homestead site east of the old Warrina Railway Siding. 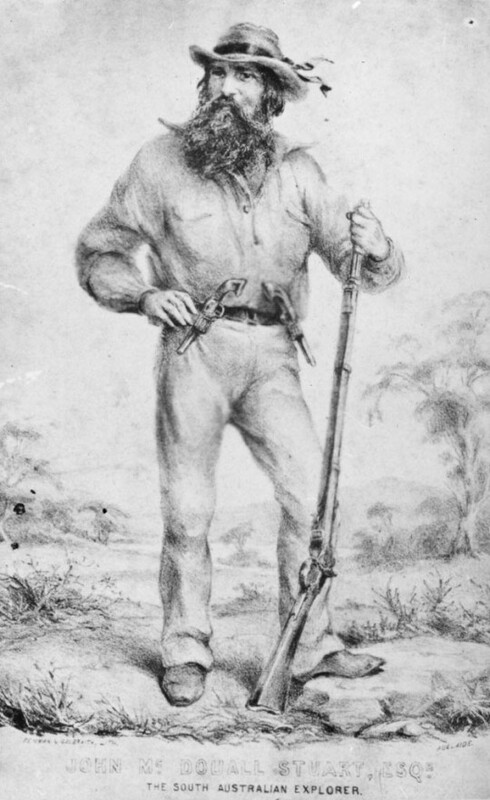 Less than a decade after Stuart’s successful crossing, the South Australian Government had committed itself to the construction of an overland telegraph along his route, an immensely important technological development which would revolutionize business and social communication between Australia and the rest of the world. Before its construction all news travelled by sea, taking from three to four months and making timely personal and business decisions almost impossible. With the completion of the 3178 km line in 1872 telegraphic signals could travel between Australia and Great Britain in a matter of hours. 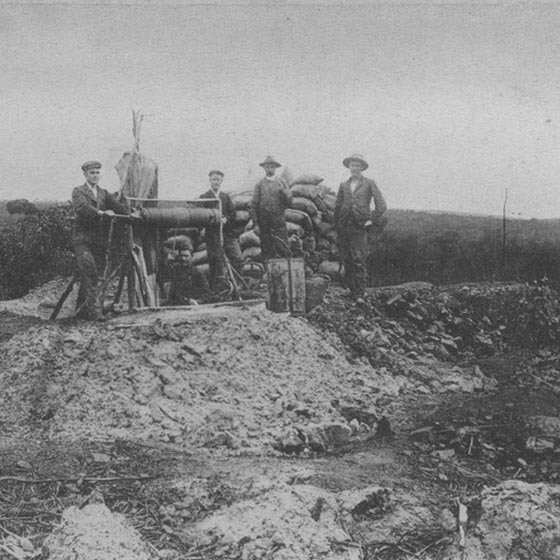 The Peake was one of 11 repeater stations constructed along the line, the technology of the day requiring a repeat of the Morse code signal at approximately three hundred kilometre intervals. 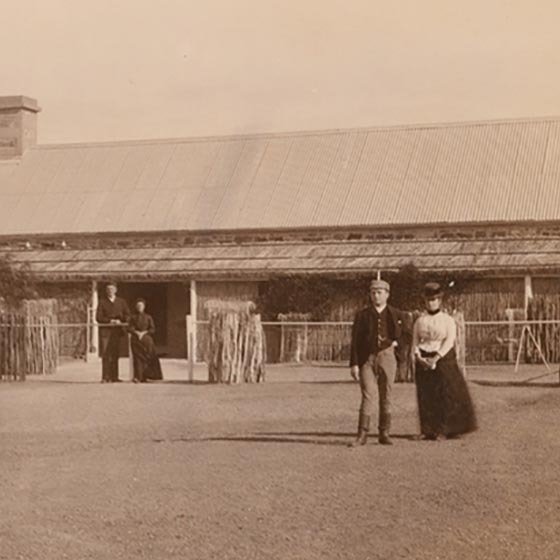 Like other Overland Telegraph stations, the Peake became an important settlement in its own right, acting as a springboard for much of the last wave of European exploration in central and north western Australia. 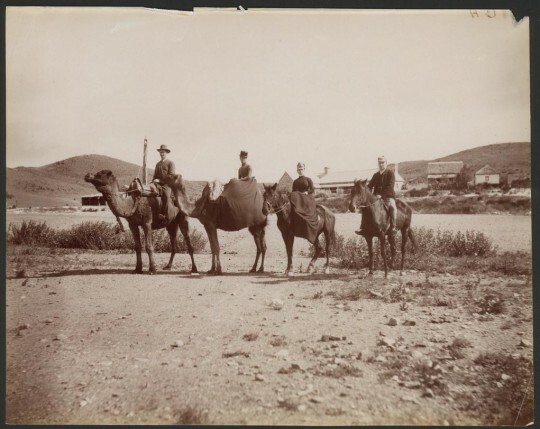 It was closed only when the opening of the narrow gauge railway to Oodnadatta in 1891 resulted in a rationalization of telegraphic infrastructure in the area. Some years after the Peake closed as a Repeater Station the site saw renewed activity through mining. 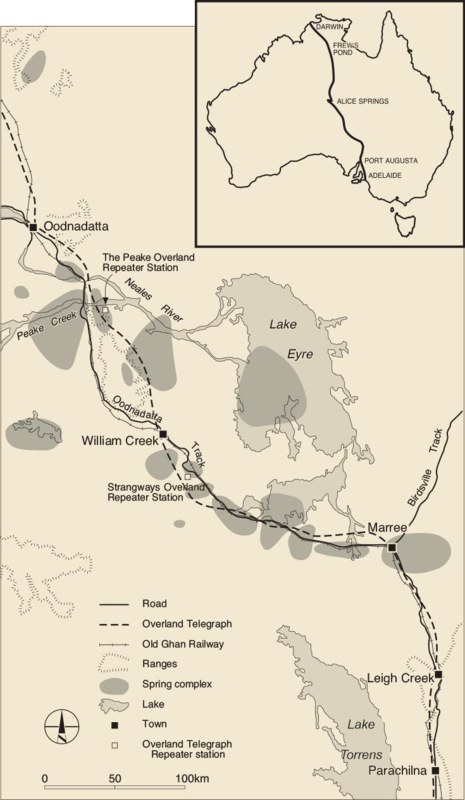 Copper ore had been located in the nearby Ranges and from 1900 to 1904 ore was raised and smelted at an elaborate (and expensive) treatment works near the Overland Telegraph Station. 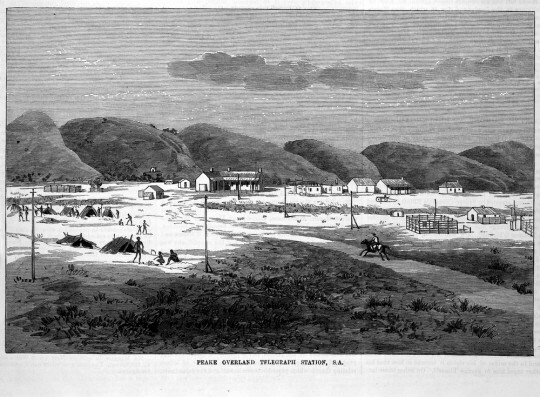 High hopes were held for the mine and much capital (mostly from Victoria) invested in what ultimately proved to be a failure, the quantity and quality of the ore being well below what would have been needed to produce an economic return in such a remote location. 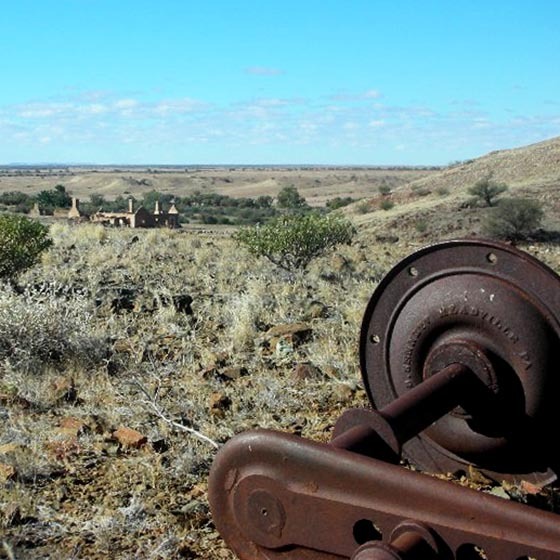 The tiered smelt works are well preserved in a gully less than a kilometre from the Overland Telegraph Station and some of the machinery from the plant can still be seen an the old Warrina Railway Siding. Miners and workers at the smelt facility occupied hillside dugouts and the old Overland Telegraph buildings for the duration of the mine’s (short) life, adding additional rooms to the Overland Telegraph buildings – readily visible to the present because of their crude construction. 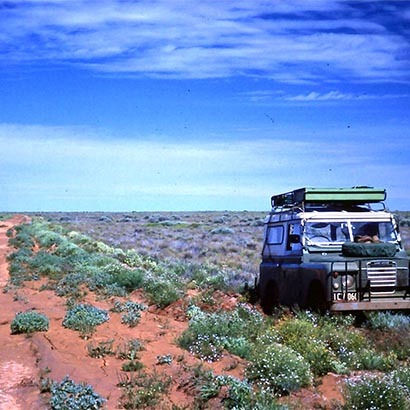 Indigenous people continued to live around the complex until the 1930s, but with little passing traffic (the main Oodnadatta Track having been re-routed to the west of the Peake and Denison Range) it gradually died away. 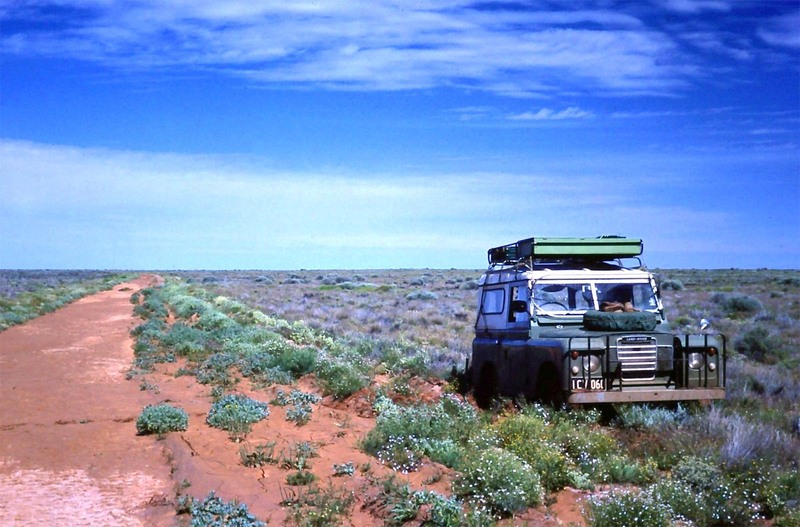 Rarely visited from that time until the rise of outback tourism from the 1970s onwards, the complex now receives a steady flow of cool-season visitors making the side-trip from the Oodnadatta Track. 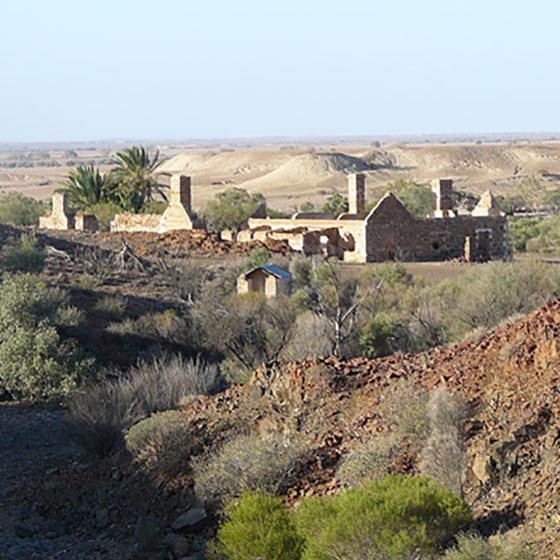 The ruins were stabilized by the South Australian Government in the late 1980s and in cooperation with S Kidman & Co. and the South Australian Government the community group Friends of Mound Springs carried out further on-ground works from 2009-11. The mound springs which give the site its name are located along a fault line on the eastern margins of the Peak and Denison Range. 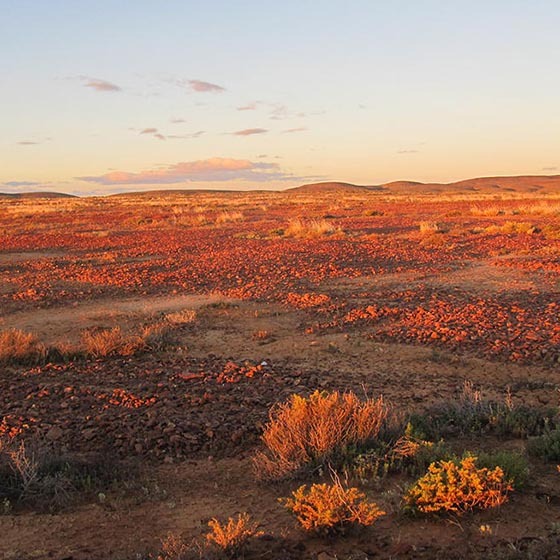 The water-bearing aquifers of the Great Artesian Basin to the east abut the impervious basement rocks of the Range and faulting allows the pressurised ground water to escape to the surface as small seeps and mound springs. As for mound springs throughout the Basin, pressure decline following the sinking of artesian bores has resulted in a decline of spring flows, but enough water still emerges at the Peake to support small, but attractive wetland communities of plants and animals. Extensive beds of tall reeds (Phragmites) mark the wetland areas while shallow tails of overflow water and small ponds support much shorter sedges (Cyperus). The normally dry watercourse east of the ruins is dominated by gidgee trees (Acacia cambagei) with occasional small red gums (Eucalyptus camaldulensis), the latter indicating the presence of water at shallow depth in the sands and gravels. On the rocky creek-line approach to the old mine smelter there is a fine coolabah (Eucalyptus coolabah). The stony slopes and ridges above the smelter usually support only small hardy shrubs such as Acacias and Eremophilas, but after good rains they can be clothed with many species of native grasses and short-lived flowering plants. In spite of the reduced flows, the springs support many small aquatic animals and the invertebrates are particularly important, with a number of species that are found nowhere else, they are endemic to the Freeling Springs. The most likely invertebrate to be seen is an Isopod, a grey slater-like crustacean that crawls around in shallow water, sometimes in large numbers. The use of a hand lens will help in the inspection of numerous freshwater snails (hydrobiids), at least one species of which is endemic to Freeling Springs. Three species of small native fish are present, but the introduced mosquito fish (Gambusia) is also present, a species widely regarded as a threat to many of Australia’s small inland native fish species. Because of the site’s isolation, the ruins at the Peake are more intact than those at Strangways and following entry of the site onto the South Australian Heritage Register (20 November 1986) a team from the Heritage Branch of the SA Environment Department, supplemented by volunteers, carried our extensive stabilization of the ruins, including the mortar capping of all walls to prevent further deterioration (September-October 1990). Interpretative signage was also installed, including signage provided by the Department of Mines and Energy for the nearby Coppertop Mine and Smelter. Budgetary cuts and the remote location of the site resulted in nothing further being done until the formation of the Friends of Mound Springs group (FOMS) in 2006. In 2007 FOMS visited the Peake in the course of its first field trip and members expressed concern at the impact of unmanaged visitation. Following consultation with the SA Environment Department, and the South Australian Pastoral Board which has responsibility for the PAR to the site, it was agreed that FOMS would undertake a range of works aimed at improving visitor management. Twelve months later (July 2008) FOMS installed hardwood bollards to restrict vehicles to the main carpark, eliminating vehicle incursions into the settlement precinct. PAR signage was also erected for the SA Pastoral Board and later the same year building identifiers were installed at all of the ruins in the settlement. To complete the management works, in 2009 FOMS planned and co-ordinated the construction by S Kidman & Co of 2 km of State Government funded fencing, bringing to an end unmanaged camping in a nearby creek-line. In recognition of its collective efforts at the Peake, FOMS was the recipient in 2009 of the SA Department of Environment & Heritage’s Award for outstanding work in heritage conservation. Two years later (May 2011) FOMS constructed two walking trails at the Peake and installed accompanying signage and infrastructure to house brochures prepared by FOMS for the walks. Maintenance of the trails and replenishment of the brochure stock is now carried out by FOMS on an annual basis.